“Software is eating the world”, but that in itself is just a part of technology. Over the past few years, we have seen technology companies dominate the startup scene across the world, even in Africa. Tech startups like Andela, Ghana’s mPharma, Nigeria’s Paystack, Tanzania’s Nala, Kenya’s mPesa and Jumia have found a foothold on the continent. Many of these companies have caused a significant change in the way we do things and interact with the world. Today, young Africans can confidently look to a global career in Software Development, thanks to the work of Andela. Africans are paying themselves all with the aid of a mobile phone, thanks to the pioneering work of mPesa. Merchants do not have to pay expensive set-up fees to drive collections for their business, thanks to Paystack. Interestingly, many more countries in Africa—outside SSA3 (Nigeria, Kenya and SA)— are becoming recipients of investor’s dollars. For instance, in 2015, eight out of ten startups that received funding in Africa were from Nigeria, South Africa, and Kenya. By 2018, that figure dropped to just six in ten. With funding getting more evenly spread, the rest of Africa can develop alongside the three key markets. There exists a crop of tech organisations that might have been overlooked, perhaps, mainly because they are not-for-profit. These loosely-defined “tech nonprofits” equally create an impact on society while leveraging technology to operate and scale. In an attempt to define what a tech nonprofit is, Christian Shatzen, a co-author of a report on The State of Diversity and Funding in the Tech Nonprofit Sector said: “We classify a tech nonprofit as a tech company building original software or hardware, but leveraging a nonprofit business model so they can focus 100% on social impact”. Typically, these tech nonprofits can be found doing things like democratising access to computers and imparting the knowledge of computers in African youths to help them prepare for the era of digitalisation. Many times, the founders of these organisations are driven purely by a passion, a passion to be the change while they work a job that funds their non-profit, till they get noticed by the wider community. The rest of this article shines the light on the work of three tech nonprofits in Africa empowering beneficiaries with the knowledge of technology that could then go on to transform their lives and communities. They are Zambia’s Code Savanna, Nigeria’s Gracit Foundation and TechQuest. Code Savanna was launched in Zambia by Anthony “Tony” Maniko, a student at the University of Zambia based in a Chilanga, town 20 km from the country’s capital, Lusaka. 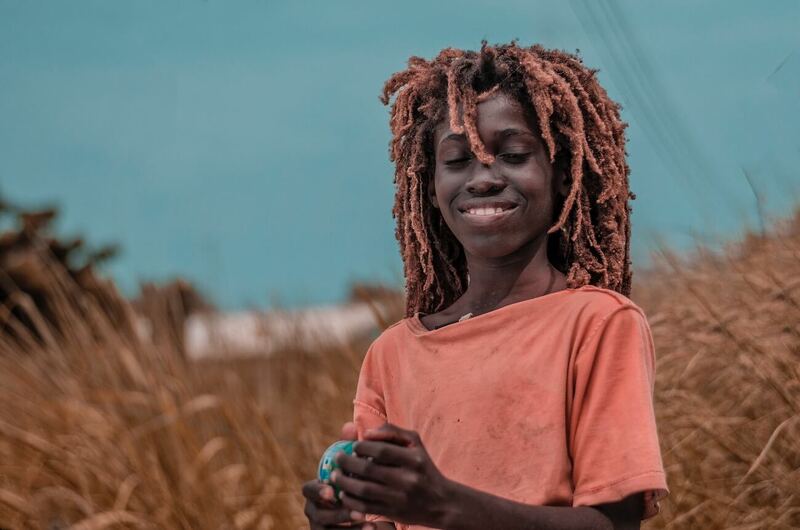 Speaking to benjamindada.com, Tony says his aim "is to create a culture of entrepreneurship through technology as a means of sustaining livelihoods instead of relying on the government". 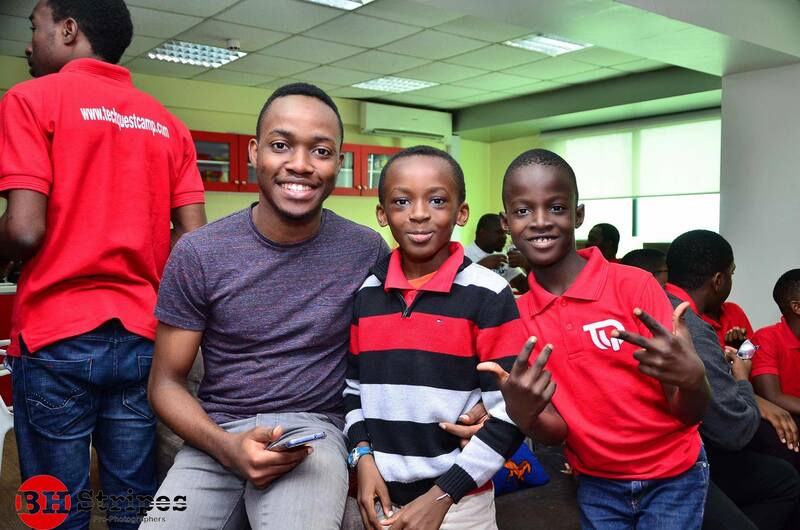 Tony spends his time moving around primary and secondary schools teaching coding skills and entrepreneurship to kids and youths alike. His vision is beyond his current home country, Zambia as he looks to expand to more countries in Southern Africa. Perhaps, after the order of forloop Africa. On one hand, Code Savanna acts as an incubator, providing free co-working space for startups while helping to source funding from potential investors. On the other hand, it acts as an accelerator, as they provide mentorship to these entrepreneurs. Their programs include Dev Unity, I code and Technology appreciation program (TAP). Today, Tony has been able to achieve a workspace-feel by converting the library basement of his school or renting out some space for Hackathons. With some funding, he is looking to make one of the spare rooms in his apartment an office. 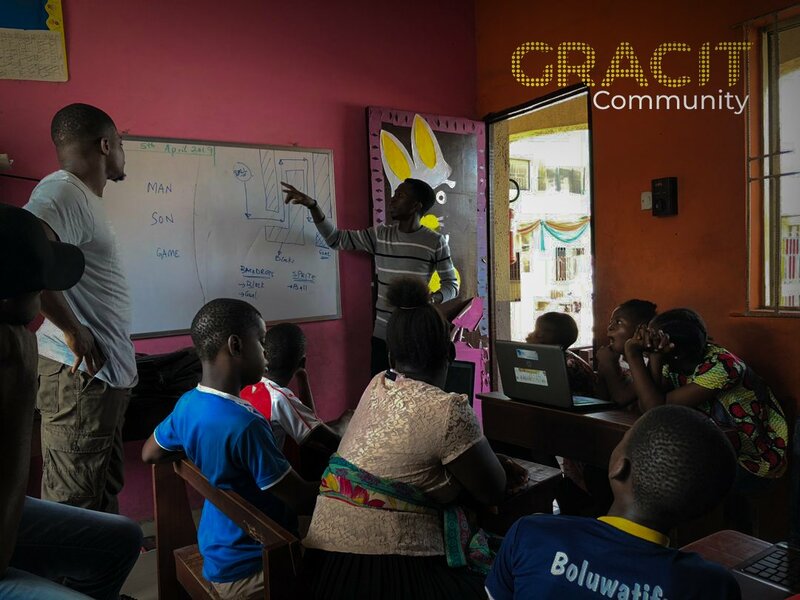 Gracit Foundation is another tech NGO founded in Nigeria but based outside of the commercial city of Lagos. They are in Ogun State, the home of many private universities in the country, like Covenant and Babcock University. We believe it takes a community to build a community. Thank you as you join to make this initiative progress. Their focus is quite interesting, as they are looking to empower orphans and less privileged children with technological skills to create opportunities for them. Not only do they train these youths, but they also provide technological tools to deepen their learning experience. They have succeeded in training more than 90 orphans, created two computer labs and organised a Tech4Charity event. Over the next three years, they intend to build 30 labs, train and mentor more than 1,500 orphans and in five years become an incubator for her beneficiaries. Here is how they operate: they set up computer labs in orphanages, train and mentor the orphans and link them with employment opportunities. Eventually, these orphans are reintegrated back into society. "We've done and are still doing training in Makoko Red cross/children's home, Ijamido children's home and others", Gracit told Benjamindada.com on Twitter. TechQuest is a non-profit that empowers individuals, schools and organisations with content, resources, and tools needed to impact young Africans in STEM (Science, Technology, Engineering, and Mathematics) Education. They believe that every African child should know how to program a computer. TechQuest partnered with Crestsage Limited a STEM training partner which deployed E-Learning Centers and training on behalf of Exxon Mobil in nine public primary schools across Nigeria. In September 2018, they started an initiative called TeachAKid2Code which ran in Abuja, Enugu, Anambra, Lagos, Osun, Oyo and Plateau State. The goal was to empower a minimum of 5000 kids through their volunteer network using technology tools. Training sessions which lasted for 8 weeks (October 15 — December 8, 2018) were conducted in schools for kids and teachers. By December 2018, the initiative successfully introduced 5252 kids across 7 Nigerian States to coding through the support of Google and Africa Code Week. With the help of their volunteers and educators across the 7 states and local partners, STEM Clubs were established in 63 schools. They have succeeded in exposing over 10,000 kids to tech and they are looking to do much more in the space, scaling up to more schools in more states to expose kids to STEM education for free. Africa accounts for the highest number of poor people in the world. Of the world’s 28 poorest countries, 27 are in Africa, with Nigeria being the poverty capital of the world. This lot can be overturned by relevant education. Tech nonprofits stand a chance to deliver these much needed 21st-century digital skills at scale, and all they will need is mentorship and funding. 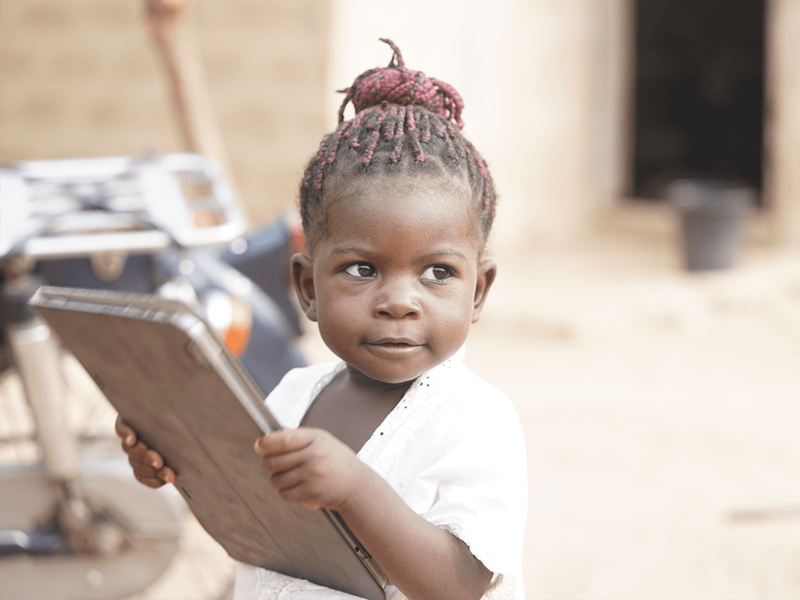 How can we create a business environment that means tech nonprofits can thrive in Africa? Perhaps, only then can we start to "leapfrog". Many thanks to Wale Ajiboye for volunteering on this piece. Update, 6:25 AM: We had wrongly misplaced a paragraph on Gracit inside the section on TechQuest.